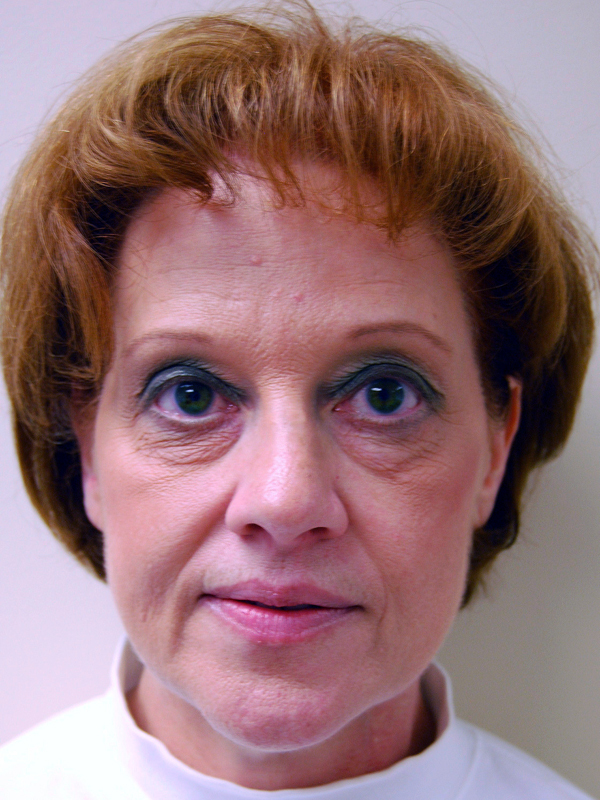 56 year old concerned with a tired appearance to her lower eyelids. She presents with excess skin and bags of the lower eyelids and desires cosmetic enhancement. Lower lid blepharoplasty was performed. 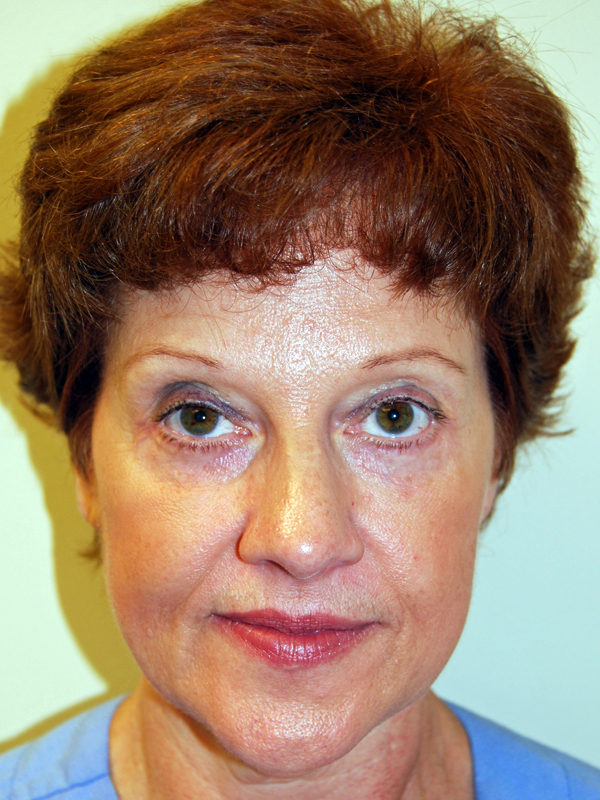 Excess skin and fatty tissue were removed giving a rejuvenated, refreshed appearance. The patient is shown 4 months after surgery.